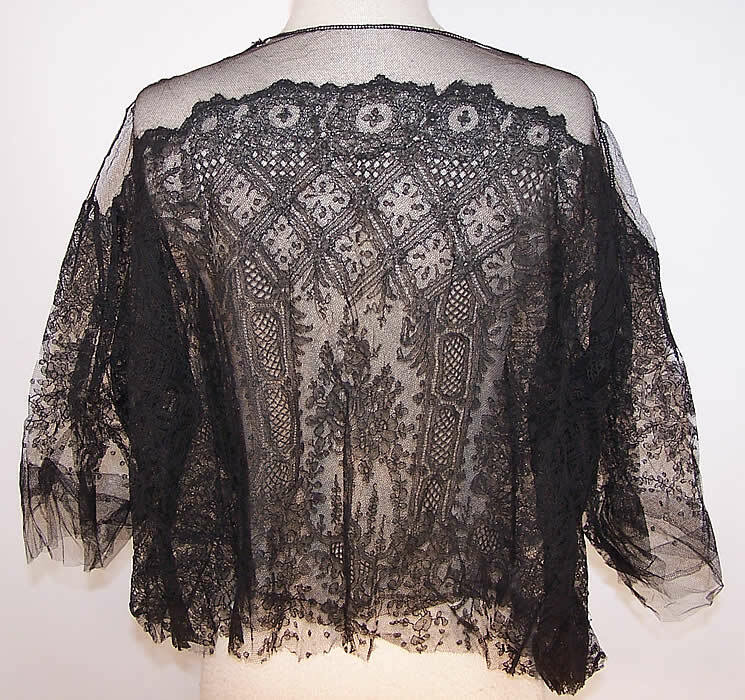 This Edwardian era antique black chantilly lace blouse jacket dates from 1910. 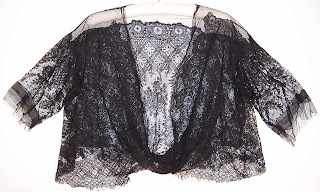 It is made of a sheer fine black net chantilly lace, with a finely done decorative floral, leaf, lattice, diamond design outlined in black threads with shading. This lovely lace loose fitting blouse style bed jacket has an open front, with hook & eye closure at the waist, short sleeves and is cut at the waist, with an unfinished bottom hem. 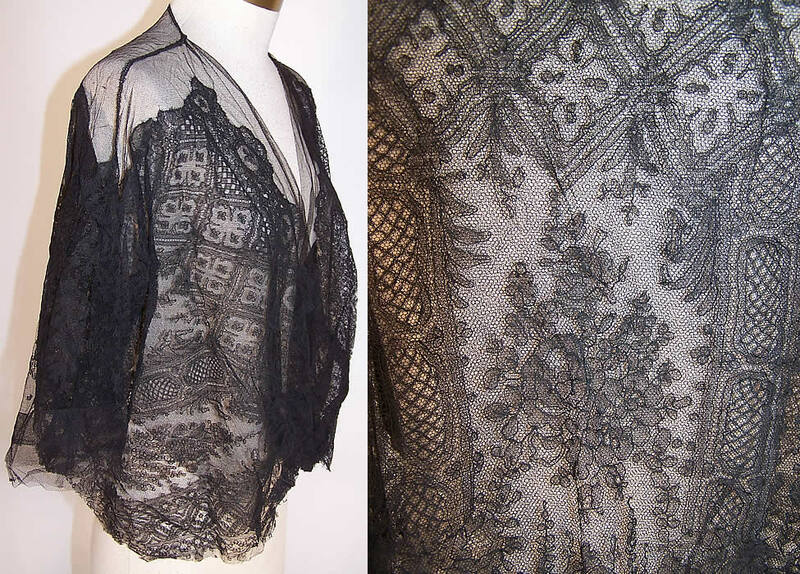 It is sheer and unlined and looks to have been longer at one time, perhaps part of a dress or robe. The jacket measures 18 inches long, with a 40 inch waist, 38 inch bust and 16 inch back. 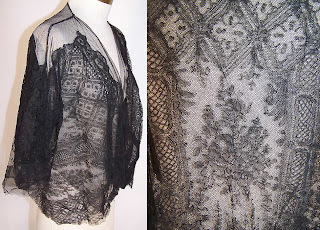 It is in good wearable condition and is a wonderful piece of wearable antique lace textile art! 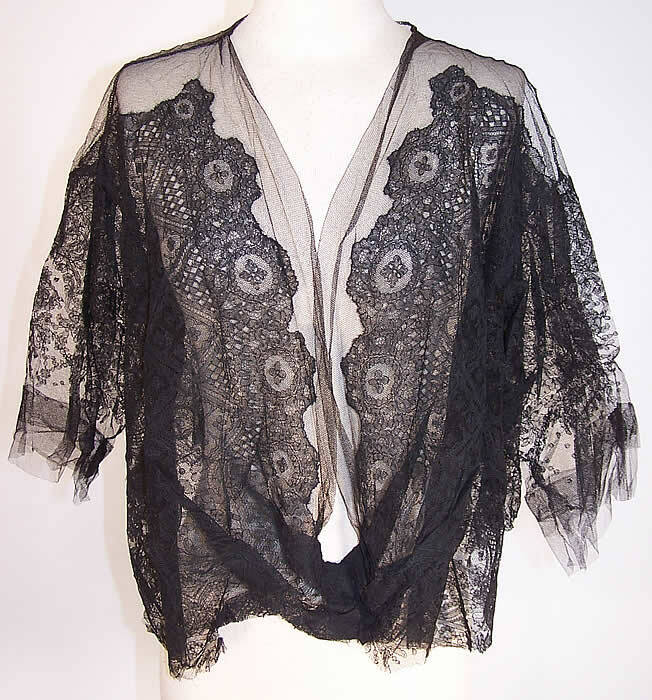 It looks like it use to be a dress and only the top survived. Still, quite lovely.